Anti-semitic acts in France rose by 74 percent last year, the French government has said. 541 such incidents occurred in 2018. Yesterday the French Interior minister visited a Paris suburb where a tree in memory of a young Jewish man who was tortured to death in 2006 had been chopped down. Christophe Castaner said "anti-semitism was spreading like poison". 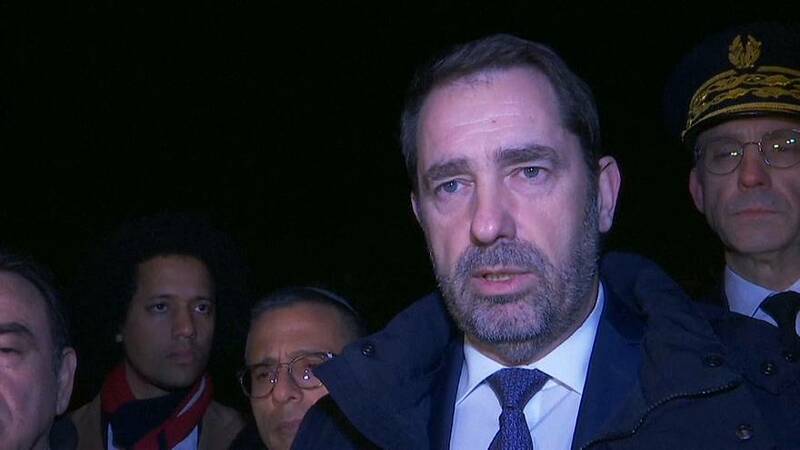 "I needed to say, in the name of the government, in the name of the president, in name of France, that tonight, we grieve the memory of Ilan Halimi,” he said. “Like we grieved him 14 years ago. France, through my presence here tonight in the name of the government and in name of the Republic, wants to say to every single person who makes a religious choice, in this country, that they must be and will be protected." Euronews’s Damon Embling told Good Morning Europe that acts of anti-semitism are now so prevalent that it’s believed many incidents are simply not being reported.